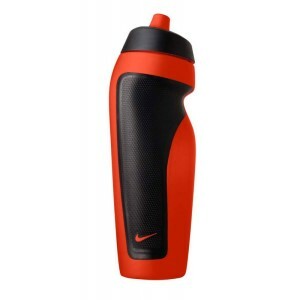 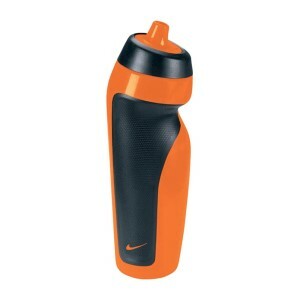 Perfect for the eco-conscious fitness lover, the Nike BPA Free sport water bottle not only will save you money in the long run but is reusable so the environment will thank you for it. It’s a way better option than dishing out your well-earned cash on one-use plastic bottles and comes in a bunch of fun, stylish colours to suit your mood and personality. This sports water bottle is super convenient and a must-have addition to your active lifestyle, featuring a leak proof valve to stay hydrated without wasting or spilling a drop. It has a unique one-hand design that’s asymmetrical for fitting into your hand perfectly, offering easy hold and grab for when you’re on the move. With a 600ml capacity you’ll enjoy quenching your thirst on your next trail run, hike, gym session, beach break or however you love to keep active and chill out.